The Tartankiwi: Japan, our hearts are with you. Japan, our hearts are with you. In the past when I saw coverage of earthquakes, I didn't understand. The picture would shake, people and houses would topple, but I just didn't GET the whole picture of the devastation and misery that the poor affected people would go through. I didn't realise the nerve-racking effect of constant aftershocks and the stress and lack of sleep for all that this leads to. 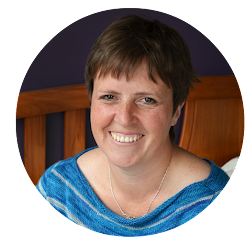 I didn't stop to think about the poor frazzled parents trying their best to cope while their traumatised children who had been so rudely jolted out of their routine and comfort zone. I didn't think past the few days or weeks of media coverage that each tragic event is granted and if I did, I thought more about the material side of the tragedy than the emotional side. Don't get me wrong. I tried to empathise. But from my safe, cosy little suburban life, I just couldn't relate at all to what was happening. Now as I sit in my house on the outskirts of Christchurch watching the pictures from Japan, my heart is heavy and my eyes fill with tears. Memories of my experiences come flooding back and with that the knowledge that I was lucky and that things could have been so much worse for us. I do not presume to understand everything that the people of Japan are suffering, the scale of their tragedy is unimaginable, but I can definitely empathise more strongly than ever before. Japan, our thoughts and prayers are with you. 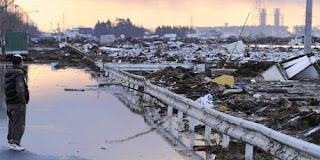 The images of Sendai being swept away by the Tsunami, just ripped me apart. I wasn't sure where in Japan it was when I first saw it, and all I could think about was the fact it looked quite similar to where my grandmother, uncle and aunty live. Thankfully I found that they were more in land...we are still to get through on the phones though. I am sure there is a lot of aroha going out from Christchurch to Japan right now. I just love NZ for that. Unbelievable how much is going on in the world; we are in Auckland and yet because of Christchurch, it just felt so much more "real" seeing the devastation in Japan.